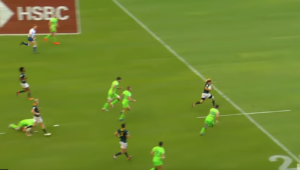 Three of the Springbok Sevens players who won in PE have been named in the SA Academy side for the Sevens Premier League in George this weekend. 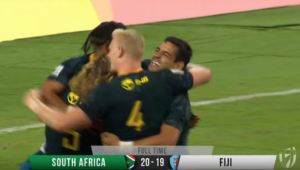 Steven Hunt, Werner Kok and Kwagga Smith all formed part of the South African side that overcame defending champions New Zealand in an emotional final played at the Nelson Mandela Bay Stadium. 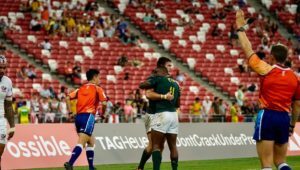 Hunt, Kok and Smith will participate alongside other players familiar with the Springbok Sevens team, such as Bernado Botha and Tshotsho Mbovane. 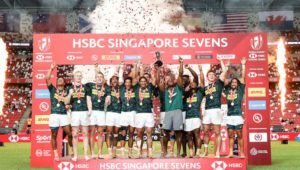 The team will play under the Samurai banner, the same colours in which they won the International Invitational section of the Dubai Sevens in December. The SA Academy side returned victorious from the Punte del Este Sevens in Uruguay last weekend. SA Academy – 1 Shaun Adendorff, 2 Kwagga Smith, 3 Bernado Botha, 4 Sandile Kgcobo, 5 Jacques Erasmus, 6 Ruwellyn Isbell, 7 WJ Strydom, 8 Tshotsho Mbovane, 9 Mark Richards, 10 Warrick Gelant, 11 Werner Kok, 12 Steven Hunt.